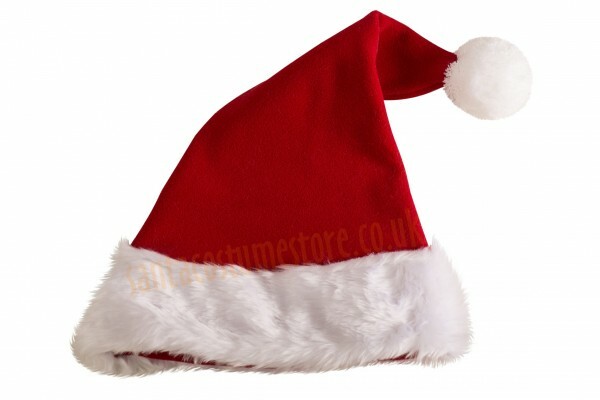 But now we have this special hat for motorcycling Santas who prefer their own two-wheeled transport with all of its advantages over the traditional reindeer-drawn sleigh. 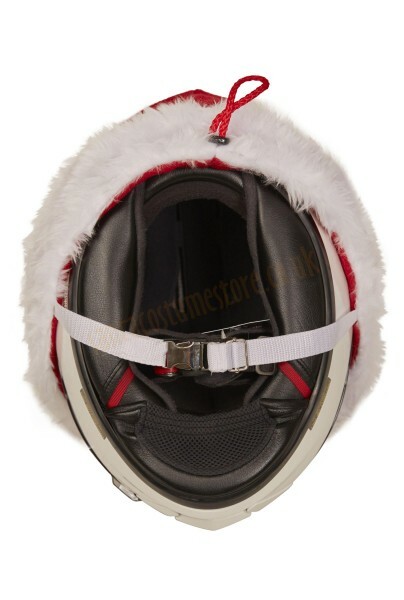 This Santa hat designed for helmets is made of red fleece and trimmed with a band of white faux fur. And it’s long enough to look great on a motorcycling helmet. The hat features a 3" (8 cm) diameter white pompon. You can even use this hat when riding your motorcycle; it is held in place securely – fastened under the chin with a durable strap and strong metal buckle. It even fits the largest of helmets – and can also easily be adjusted to be worn on smaller helmets thanks to the strap adjuster. 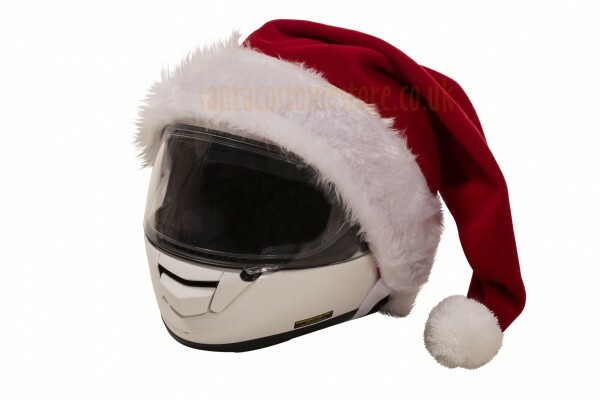 We particularly recommend our motorcyclists’ Santa hat for Santa Bikers.